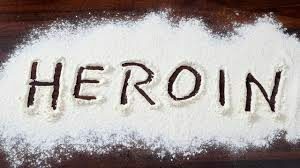 There is power in being aware of what you & your family need to know about heroin.Since birth kids hear the infamous slogan of, “Just Say No.” It has good intentions, but often falls on deaf ears. Drug abuse has been a battle waged for centuries. It’s one that continues to claim lives. In a society mired in “Just Say No” and drug education programs it’s amazing how little our kids and parents actually know about drugs. Most people are aware of our current opiate epidemic. Yet when you pry for WHAT and HOW of these commonly abused drugs very little is known. We have to empower one another by knowing what our top tier narcotics do. We have to know what they look like & how to seek treatment if needed. Heroin is a driving force in our current epidemic, but SO few know what the heck it actually is. Why should I know about something that isn’t going to effect me? Here’s where SO many are mistaken in pigeon holing heroin into being something that impacts a certain type of person. When it comes to the current opiate epidemic ALL bets are off as to what a user ‘looks like.’ The vast majority of heroin users made the transition from prescription pills. Many of these ‘junkies’ were handed their first fix by their family doctor. You heard me, their family doctor. Whether it was a pill prescribed for a root canal, an aching back or a follow up to some surgery prescribed pills have a huge spoke in the wheel of our current epidemic. What doctors, patients and family members rarely take into consideration is the individual’s family history of addiction. Another factor not taken into consideration is the patients history of addiction. When dealing with narcotics there is no black and white. Questions must be asked. There’s the kid who snatched a pill from mom’s medicine cabinet because she didn’t think it was really a drug. It isn’t viewed as heroin, coke or any of those ‘really bad’ drugs. This mentality has landed us right smack dab in the middle of an epidemic that is claiming lives right and left. Every single community in our nation has had the tentacles of prescription pills make their way to a school, work place and home. No one should think their family is immune, this is a dangerous mindset. This is where communication, advocacy and knowledge are more important than most can ever fathom. The transition shifts from pills to heroin once the user is hooked and can no longer sustain their habit. A hit of heroin is much less expensive than a pill. So that teacher, doctor, stay at home mom or youth pastor that was given something by someone they trusted has now morphed into a drug addict. How unfair and crazy is that? This isn’t all of our current heroin addicts, but it’s a good enough percentage for eyes and hearts to begin looking at our current state of addiction with a little more empathy and less judgement. Heroin is some crazy stuff…. You may know someone struggling with addiction or may not. I promise you at some point during the day or week you will pass by, engage in conversation with or hug someone with an addiction. You may never know who they are, but you will encounter them. In order for us to have a chance in this battle, we need to know more. Our eyes and hearts must be receptive. If we assume that we are exempt from different aspects of drugs, addiction and everything in between we are naive. In this day and age naivety is dangerous. Ask questions. Empower yourself and your loved ones. If you or someone you love needs support or treatment seek it out. Remove pride, regard for what others may think or whatever else may hold you back. If you do not know anyone in your own life struggling, there is power in knowledge and awareness. Wishing you a week of empowerment, insight and compassion. Peace, love & goodness!